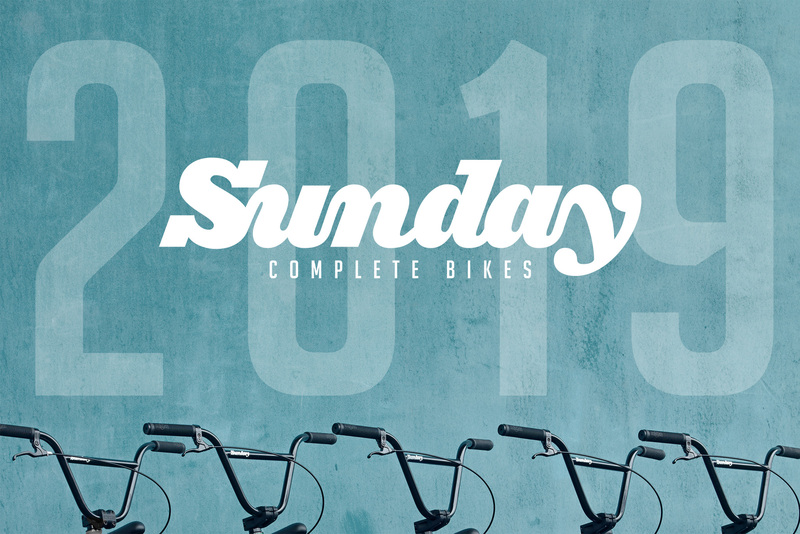 2019 Sunday completes are available now! 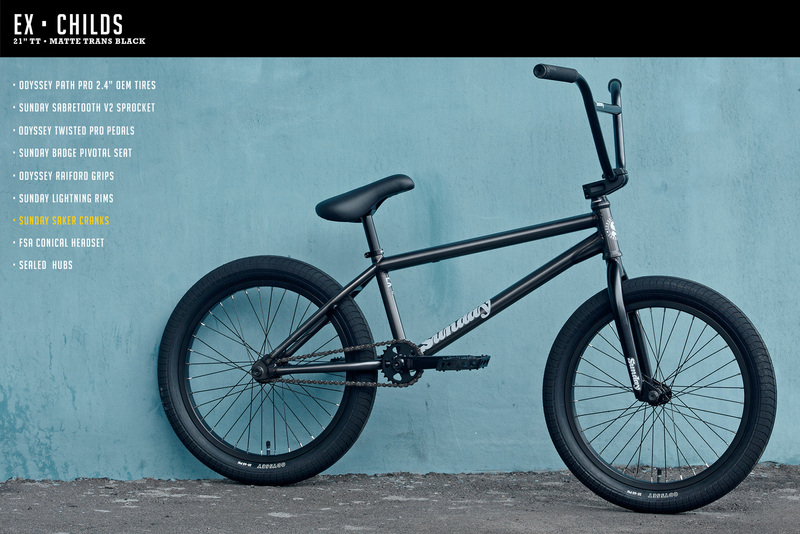 Visit our bikes page for full specs and detail shots. Contact your local shop or favorite BMX mailorder to lock down your next bike. Our Winter 2017 softgoods are available now! Grab some new threads to make sure you look fresh while swinging a machete. 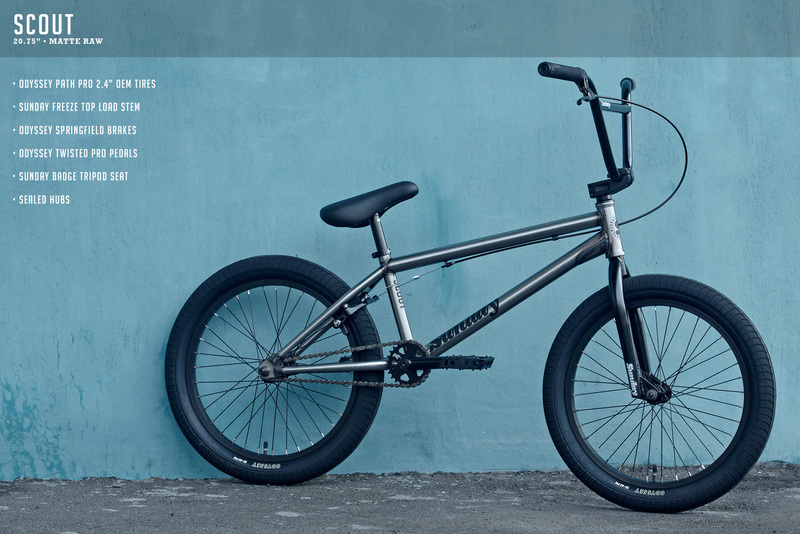 Hit up our store or find a local dealer. For 2018, Brett Silva got his very first signature complete from us. Watch him shred it. Created by Brett and Jeremie. 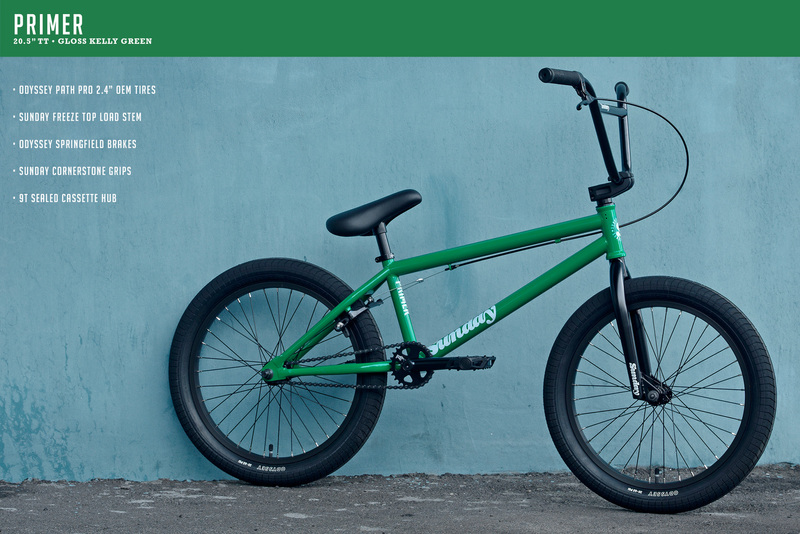 The Forecaster is Brett Silva’s first signature complete, and we’ve made sure it’s up to par by spec’ing parts like Sunday Jake Seeley grips and a Cyclone freecoaster hub with Odyssey Twisted Pro pedals and Path Pro tires. 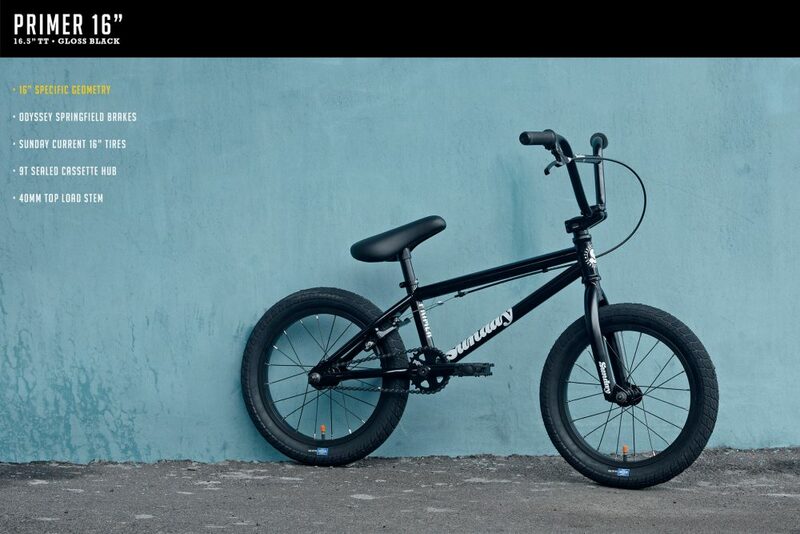 All black everything, 4-piece bars, a 21” top tube and RHD or LHD configuration options. Always ready to ride, just like Brett. Available in RHD and LHD. 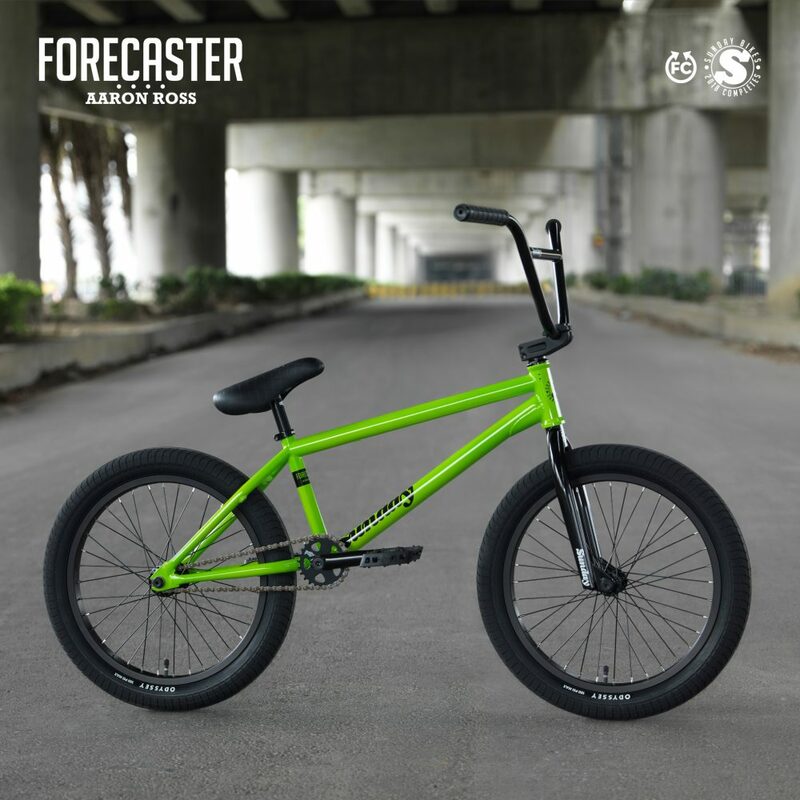 Aaron Ross grabs a matching hat and builds up his fluorescent green 2018 Forecaster. 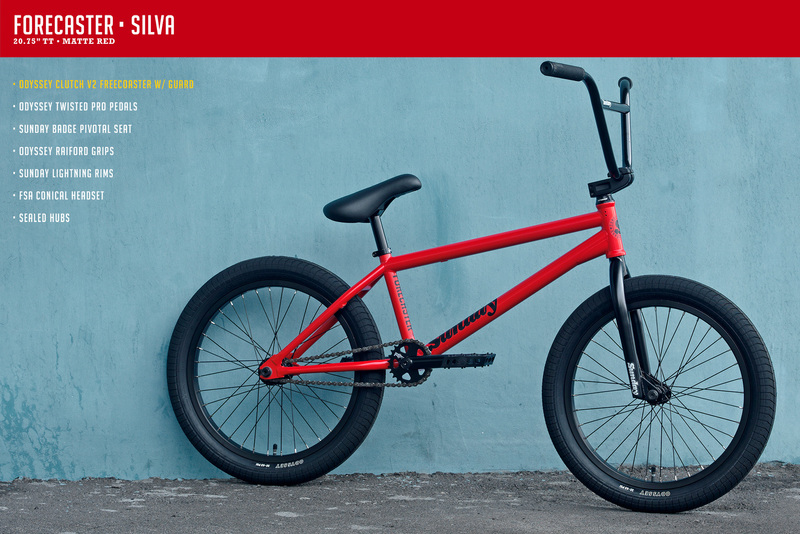 His signature complete is ready for boss-like maneuvers right out of the box. Created by Aaron and Jeremie. 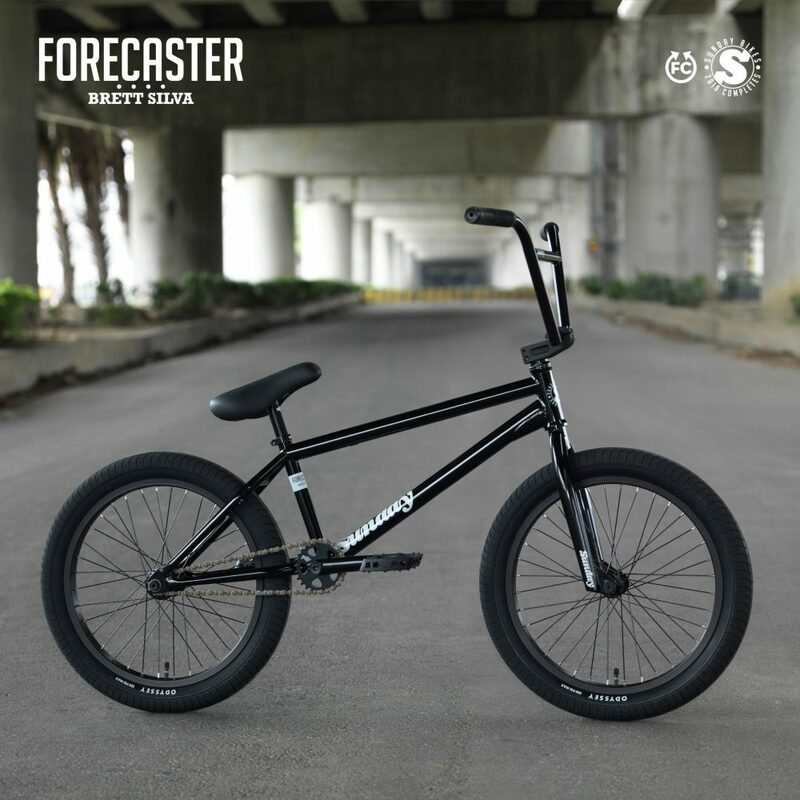 The Forecaster is a model that rides, feels and looks like a pro-level bike. When you see a fluorescent green Forecaster, then you can be sure that Aaron Ross is the guy behind it. You’ll find other Ross spec’d design cues like Odyssey Boss Grips combined with incredible parts like a Sunday Cyclone freecoaster hub, Odyssey Twisted Pro pedals and Path Pro tires. 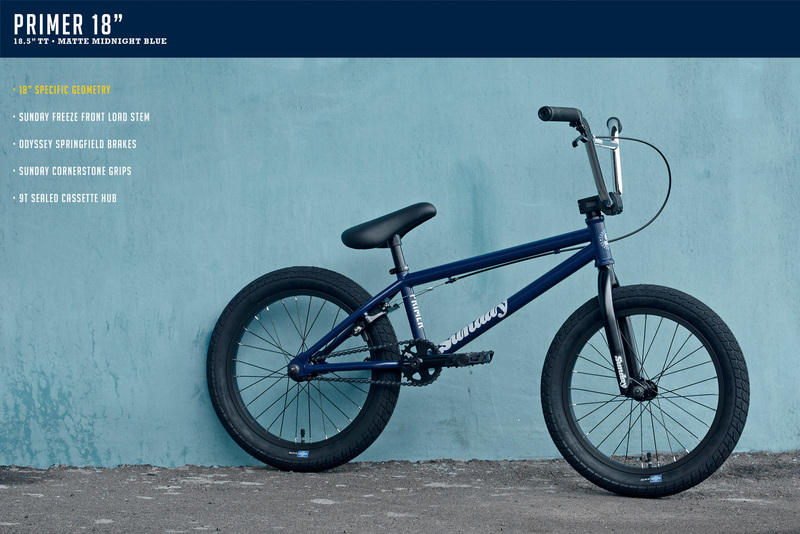 Chris Childs keeps it raw with this signature complete video he made for his 2018 Raw EX model. Created by Chris, BCave, and friends. The 2018 EX is a bike that is difficult to match. 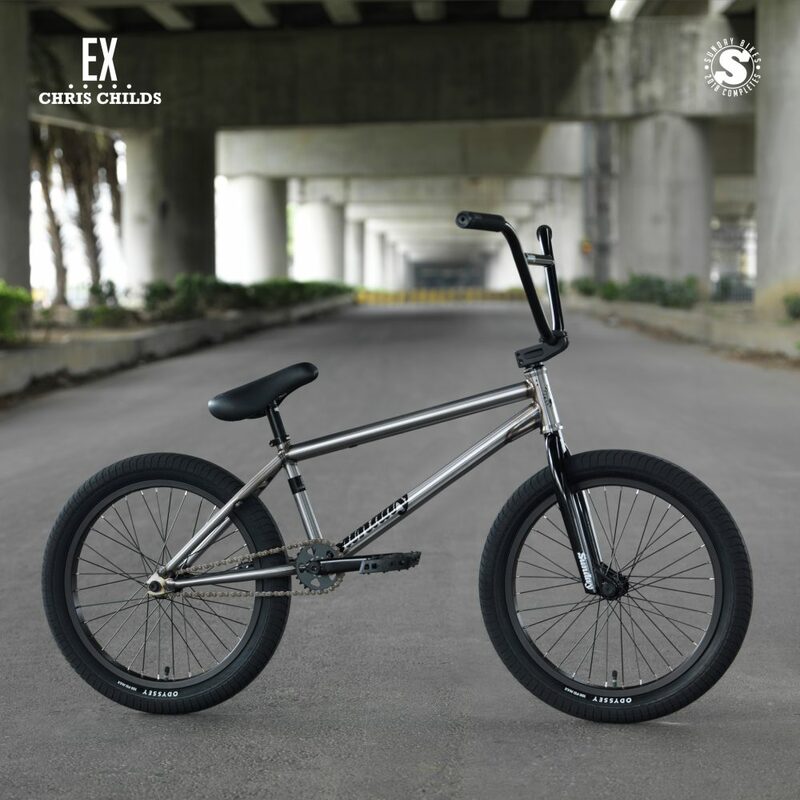 The Chris Childs signature EX is ready for riding everything, as you’d expect. You’ll find this bike loaded up with an amazing Odyssey/Sunday part selection and frame design upgrades like the EX’s removable braking hardware. 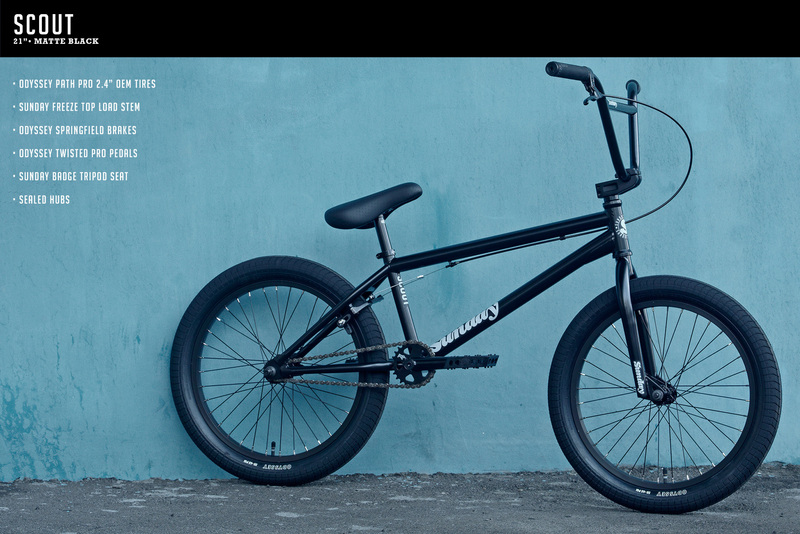 Hit play to watch Gary Young his up his local spots on his new signature 2018 Soundwave Special. Available now through your local shop or favorite mailorder. Created by Gary and Doeby. Available in RHD or LHD. 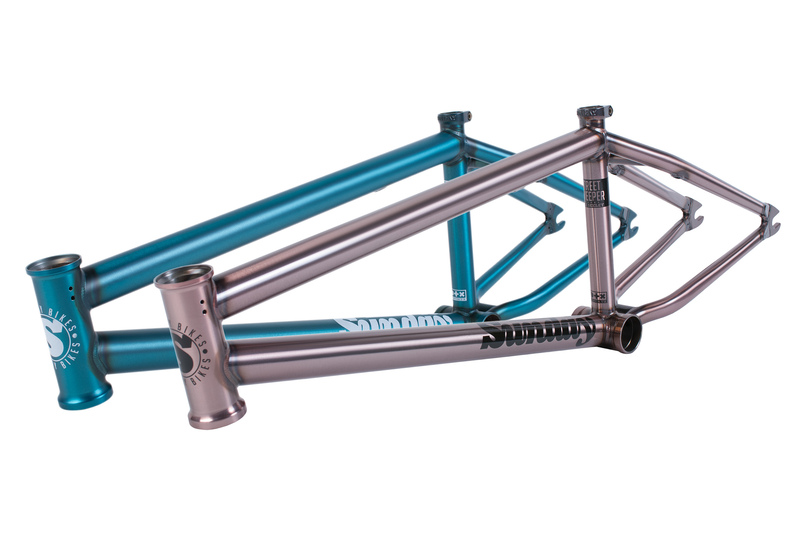 Our Soundwave Frame is now available in Sunday Blue! If you know the Wave series then you know that the Soundwave has a lot to be measured against. 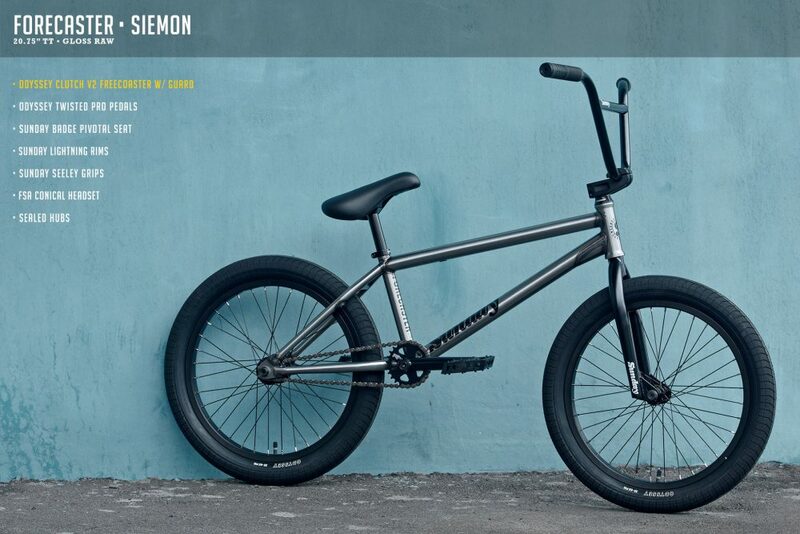 It’s the most modern, highest quality frame we have offered to date. For this edition in the Wave series, we’ve made the Soundwave’s HT 75˚, lowered the BB height (11.5”) and shortened the CS length (13.5” – 13.75”). We have given the chain stays a “Boxed” tube shape that helps fight denting of the chain stays. It also enables the frame to have a shorter rear end as well as provide clearance for larger sized rear tires. Now you have the modern geometry plus all the aftermarket frame features that makes Sunday frames stand out from the crowd. 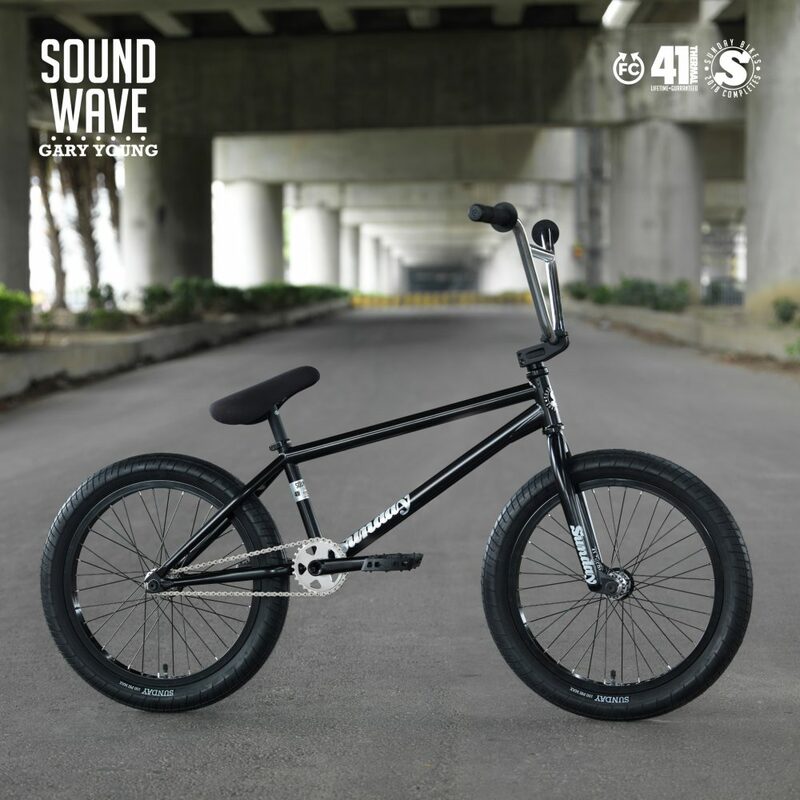 Hollow dropouts, integrated chain tensioners, Wave down tube and top tube, Cable Channel, new screw-in cable guide, angled removable brake mounts, Director style wishbone, post-weld machining of the BB & HT and full 41 Thermal heat-treating backed by a LIFETIME WARRANTY all come standard on the Soundwave. The Soundwave comes with a 9″ standover height, and a 2.4″ tire clearance that’s been achieved without sacrificing strength or altering the frame’s aesthetic. The front end has also been updated witha taller MotoRoss style headtube. Now in Matte Trans. Teal and Rose Gold! Jake Seeley’s signature Street Sweeper Frame is now available in Rose Gold and Matte Trans. 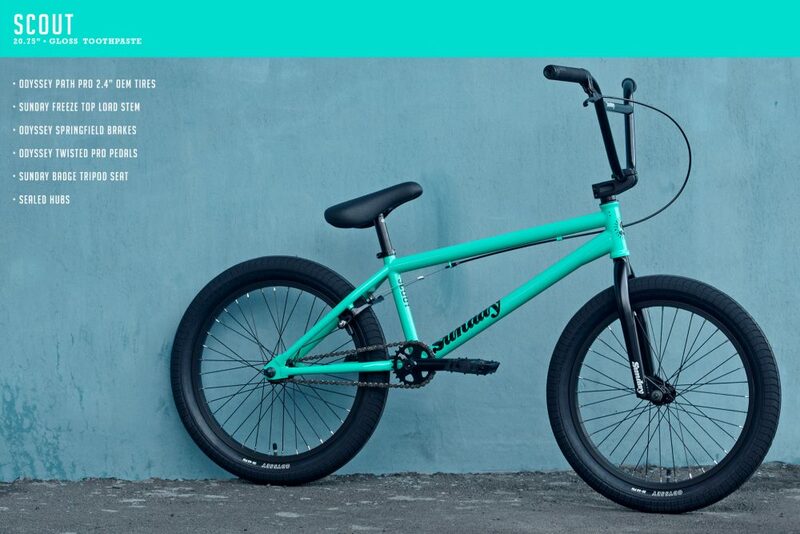 Teal! 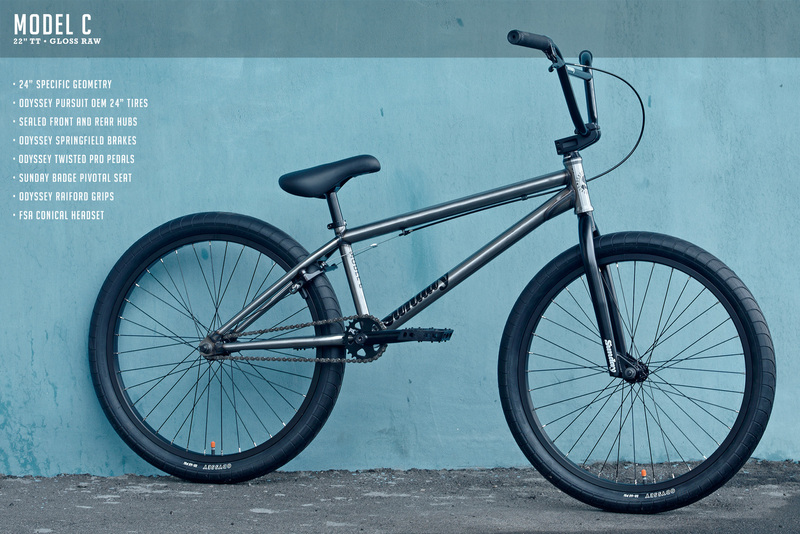 The Street Sweeper frame is designed to complement Jake’s progressive, technical street riding. It evolves directly from Jake Seeley’s original Broadcaster frame by using shorter chain stays, a steeper head tube angle, a taller bottom bracket and smaller hollow dropouts with integrated chain tensioners. Built with versatility in mind, the Street Sweeper features removable u-brake hardware and Gyro tabs. The frame’s front triangle makes use of traditional round MotoRoss style top and down tubes with proven internal gusseting. Jake Seeley puts his new signature 2018 Street Sweeper complete to the test. Enjoy! Available now through your local shop or favorite mailorder. Created by Jake and friends. 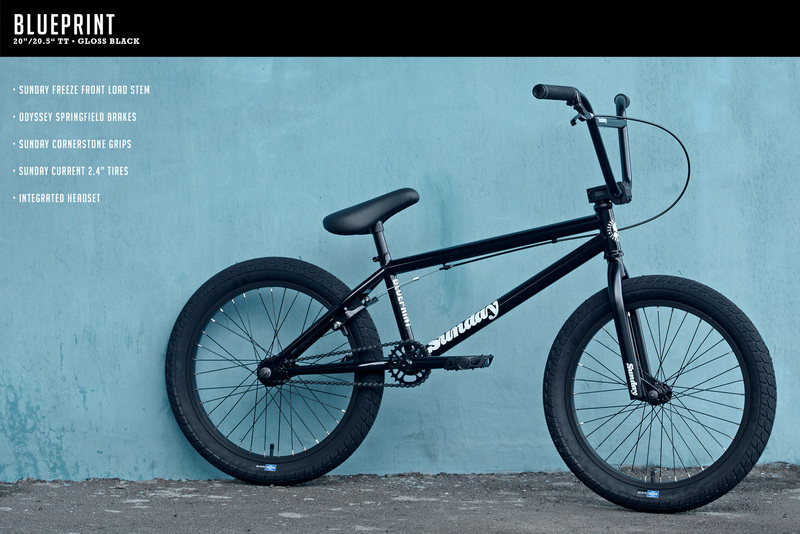 The Street Sweeper is designed with serious street riders in mind. 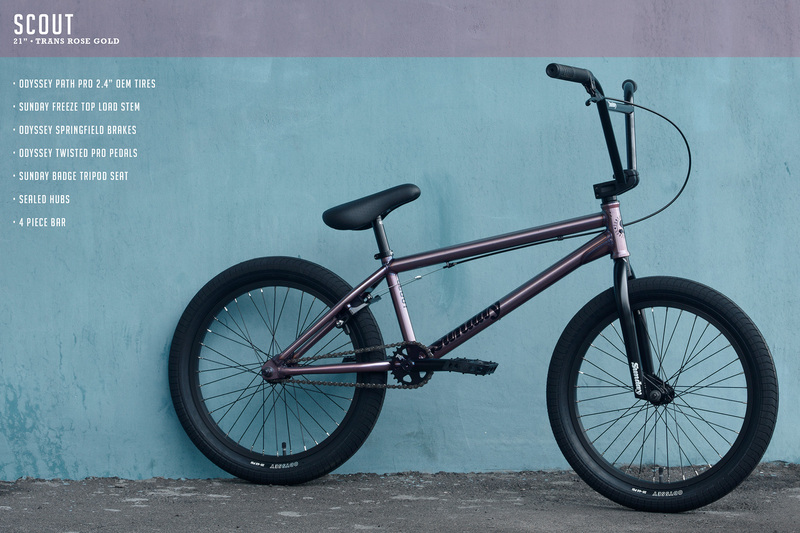 Built around Jake Seeley’s all-new chromoly aftermarket signature frame, it uses a 75.25° head tube angle, a very short chainstay and a higher bottom bracket to match perfectly with Jake’s technical riding style. 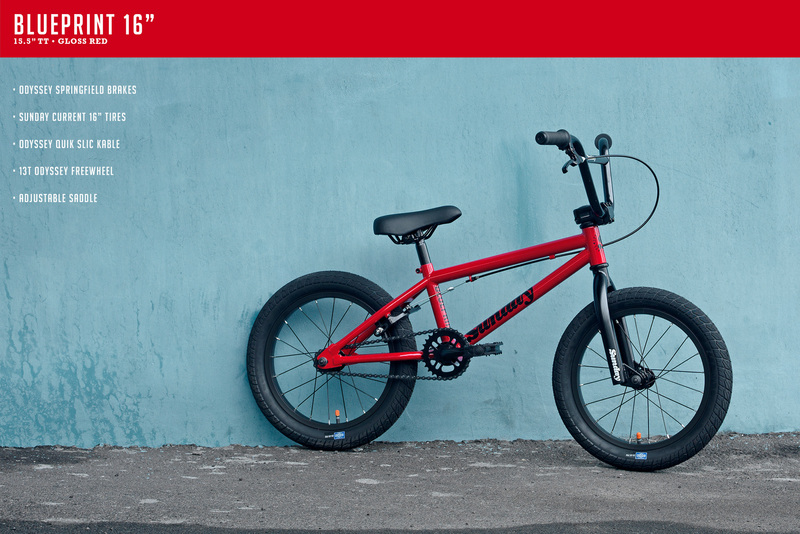 With its 4-piece bars, 165mm cranks, sealed Odyssey Clutch freecoaster and Sunday Street Sweeper tires, this is truly a pro-level bike.